Burj Al-Luqluq Social Center Society and the Turkish Cultural Center, in cooperation with Yunus Emre Institute, organized a water marbling art course “Ebru” from the 14th to the 18th May 2017 at Burj Al-Luqluq Center. Fifteen male and female participants attended the course under the supervision of the Turkish trainer Rabia Mitwali. 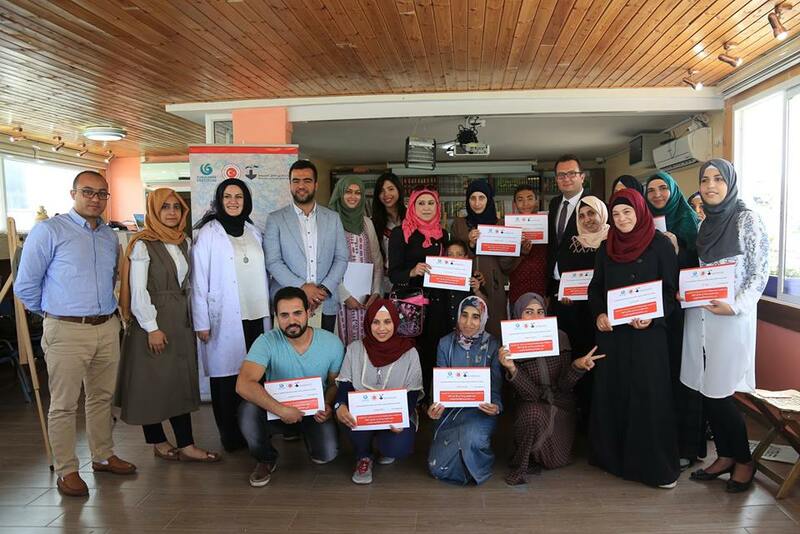 At the end of the course an exhibition was organized and certificates were distributed in the presence of the Depute Turkish Ambassador in Jerusalem Armon Tomoki, the representative of the Turkish Cultural Center, Reha Ermumcu, in addition to Burj Al-Luqluq Executive Manager, Muntaser Edkaidek.